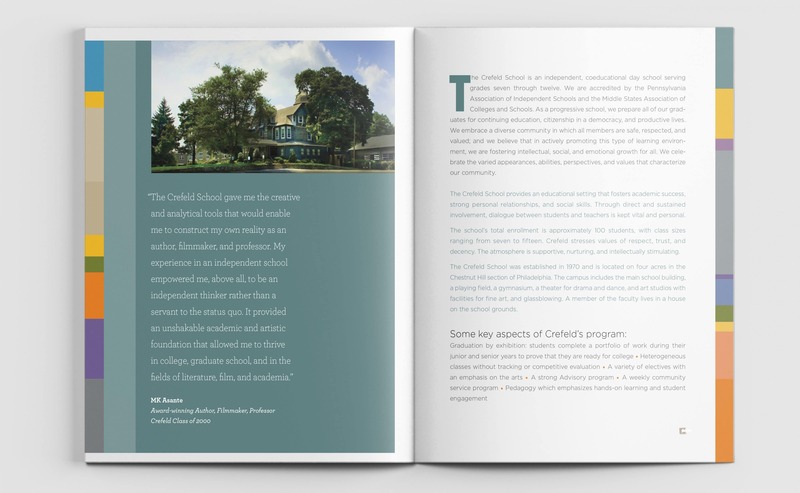 The Crefeld school needed to refresh its image and meet its competition on equal ground with a viewbook that could express the school's unique personality. 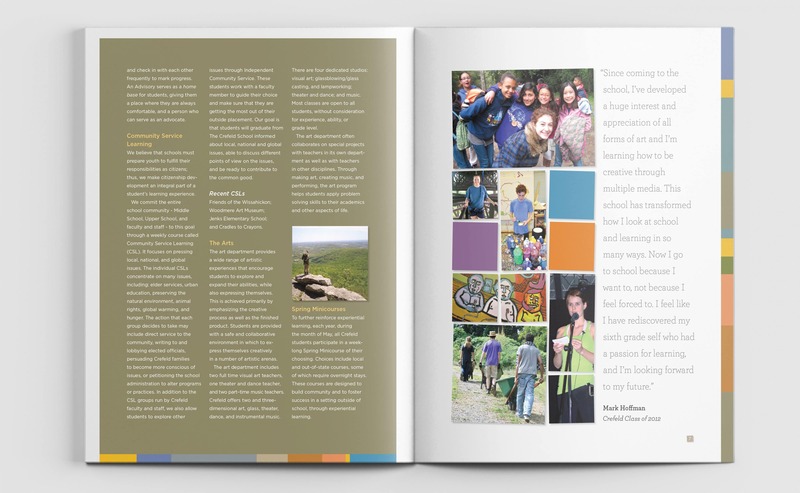 We redesigned their identity and designed a viewbook for them that gives insight into who they are what they are all about. 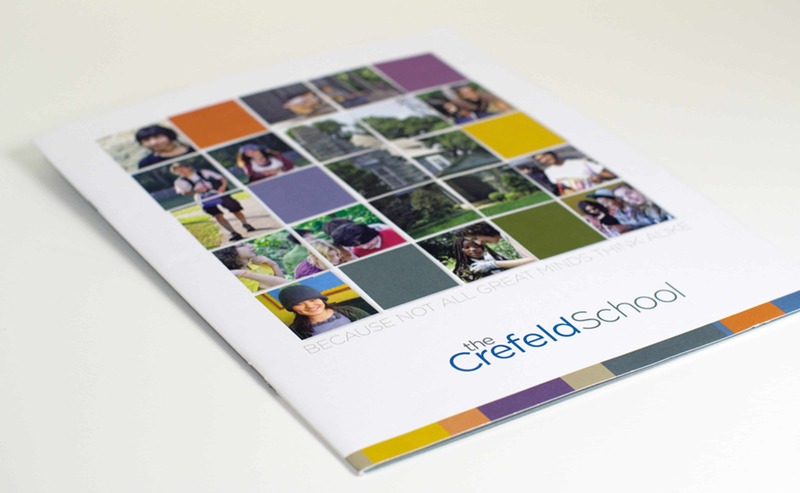 Client: The Crefeld School is a progressive school for students in grades 7 thru 12 grade. 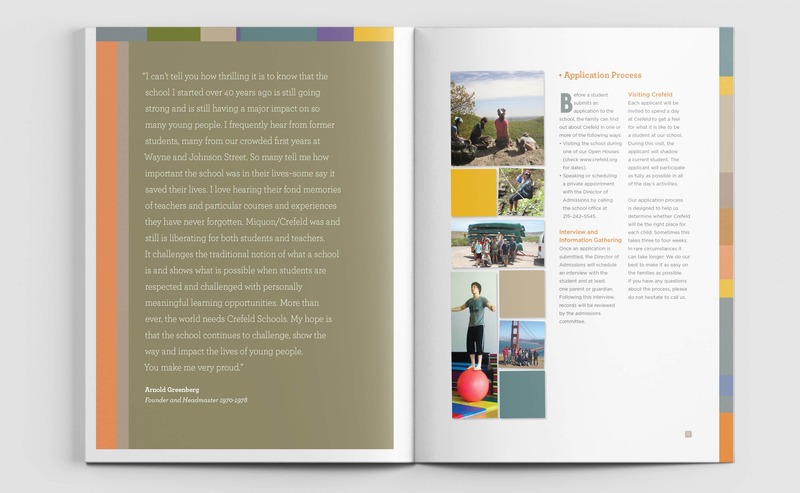 "It was a pleasure to work with Patricia and her team at 21xdesign, as we set out to create a brand new viewbook that mirrored the character and soul of The Crefeld School. 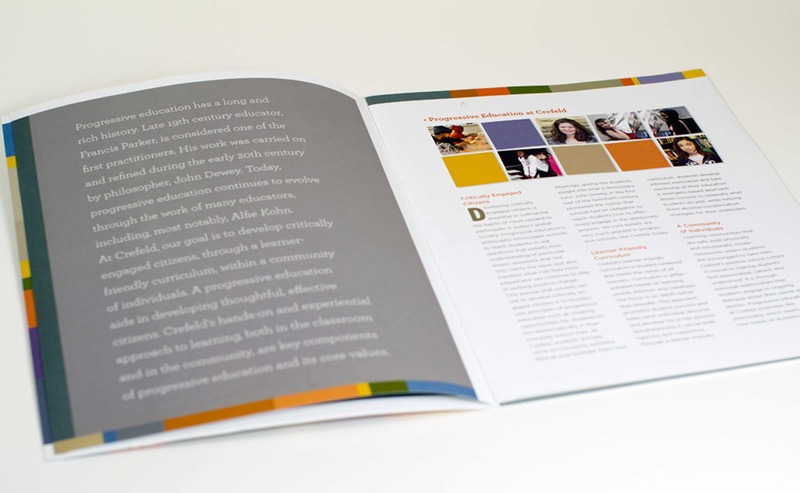 Everyone was delighted with the finished product. 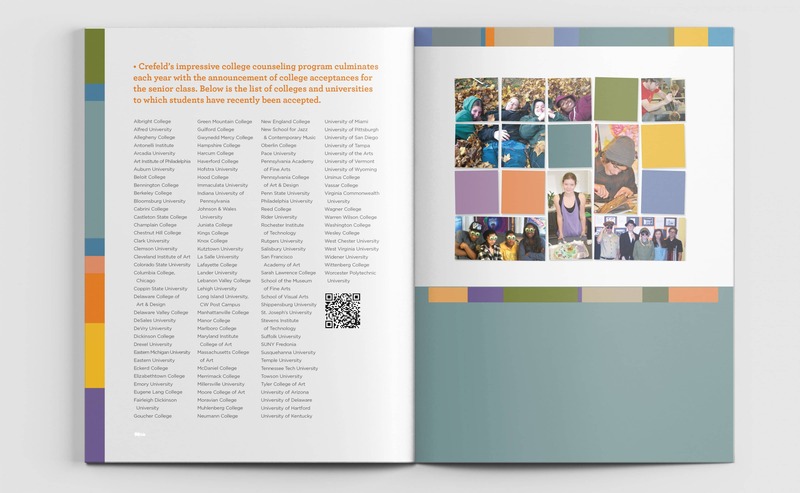 I know that we will continue to work with 21xdesign on future projects."